Could Akihabara’s vehicle-free street come back? 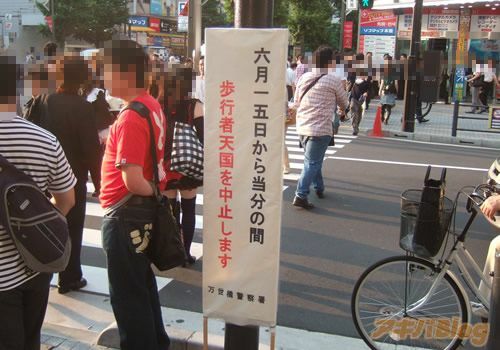 Akibablog pointed out that earlier signs announcing the close of vehicle-free street are now gone. The vehicle-free street had been closed since June 15th, and had been the first time being closed since it started in 1973. July 27th marks the 49th day since the Akihabara stabbings. In Buddhism, it is believed that when a person dies, their soul stays between the world of living and the dead for 49 days before going off to heaven. 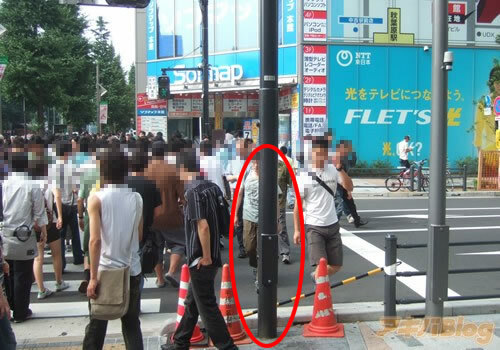 Even if this is indeed the restart of Akihabara’s vehicle-free street, I don’t think it will ever be the same.